Due to the success and popularity of our cat clinics on Tuesdays at our Stoke Road branch, we are adding an additional cat clinic day every THURSDAY. Amanda qualified from Edinburgh University in 2001 and joined us in June 2017. She began her career in a practice in her hometown of Leeds before joining a mixed practice in Bedford in 2002. Initially, she worked with large animals as well as small but gradually moved towards concentrating solely on small animals. She holds an ESVPS Certificate in Small Animal Medicine. 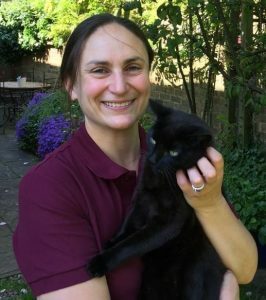 She has become particularly interested in feline medicine and is very much looking forward to running the Cat Clinic at the Stoke Road branch on Thursdays. Outside work, Amanda enjoys spending time with her husband and two small children, as well as their cat Jamie and their newest addition to the family, a rehomed tortoise called Margo. 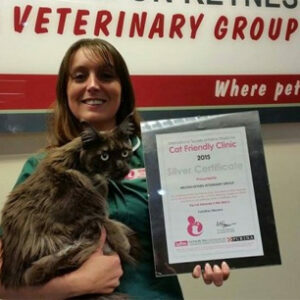 We are proud to announce that Milton Keynes Veterinary Group have achieved accreditation as a Cat Friendly Clinic (CFC). The CFC programme has been developed by the International Society of Feline Medicine, the veterinary division of the leading feline charity International Cat Care, and accreditation has been made available in partnership with Purina. It aims to promote well-being and high standards of care for all cats visiting or being hospitalised in a veterinary clinic. Under the programme, we had to prove rigorous adherence to a set of criteria which includes provision of facilities and demonstration of staff activities and attitudes aimed at reducing stress in cats, both as in-patients and out-patients. The criteria includes having separate dog and cat waiting areas, feline-friendly hospitalisation cages, and veterinary equipment specifically for treating cats. Most importantly, staff are trained in approaching and handling cats sensitively and respectfully, and in maintaining high standards of veterinary care, including continuing to update their knowledge of feline medicine as new treatments and information become available. The International Society of Feline Medicine launched the Cat Friendly Clinic initiative three years ago, to encourage veterinary practices everywhere to make best efforts to improve the welfare of cats in their care. 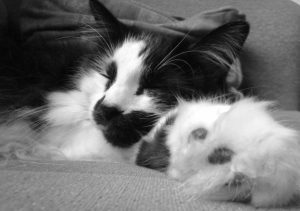 The programme advises practices on how to make their environment as welcoming to cats as possible, as well as providing support in staff training, handling techniques and cat-specific client care.